Have you been seriously injured in a drunk driving accident? Driving while intoxicated (DWI), driving under the influence (DUI), or operating while intoxicated (OWI) are the terms people commonly use to refer to alcohol or drug-related driving behavior. While the criminal justice system can handle the criminal aspects of a drunk driving accident, it typically fails to address the heavy financial burden that a drunk driving injury or death has on innocent victims and families. Alcohol-related crashes and collisions, including auto accidents, truck accidents, boating accidents, pedestrian accidents, motorcycle accidents and any other accidents involving drunk drivers. Drug-related crashes and collisions, including auto accidents, truck accidents, boating accidents, pedestrian accidents, motorcycle accidents and any other accidents involving drunk drivers. Driver and passenger injuries from auto accidents, truck accidents, boating accidents, pedestrian accidents, motorcycle accidents and any other accidents involving drunk drivers. Dram-shop personal injury litigation in which we sue bars that serve alcohol to cause people to become drunk or to people who are already drunk. Habitual drunk drivers and traffic offenders. Underage drinking and driving, serving alcohol to minors, or purchasing alcohol for minors. 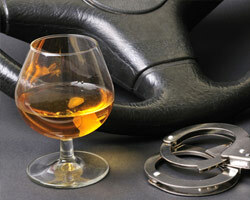 Drunk driving accidents frequently cause serious or fatal injuries. To obtain the full compensation you are entitled to receive, you will need an experienced and skilled personal injury lawyer who is committed to properly managing your case. As a client of our firm, you can be confident that your case will be handled with a high level of competence and care. We take time to properly investigate the cause of auto accidents, gather key evidence necessary to establishing liability, and determine the nature of our clients' injuries and losses to actively pursue the full compensation they are entitled to receive. No person has the right to put the safety of others at risk by drunk driving. At Baldwin Legal Services PLLC, we are committed to holding drunk drivers accountable for their reckless acts and the injuries they have caused. Our firm can help if you have suffered a serious injury or if you have lost a loved one as a result of a fatal drunk driving accident. Please call 877-886-1441 or contact us online to schedule a free consultation. We are available 24 hours a day and 7 days a week. Home and hospital visits are available upon request.